Working hard on your project and need some temporary page for your website? 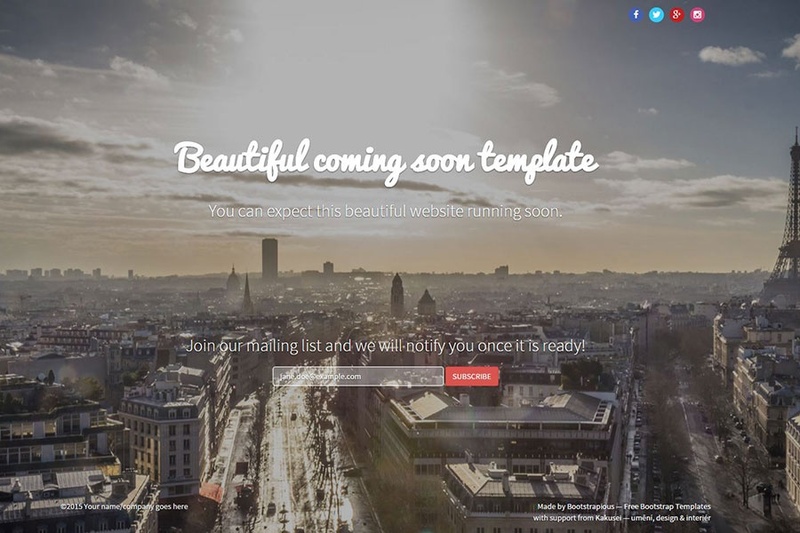 Check out this beautiful responsive coming soon theme. It features clean and elegant design and is built on top of Bootstrap 3.3.2. Mailchimp integration to preprepared sign in form is a piece of cake.